You can use this in your own mods, all i ask is credit. 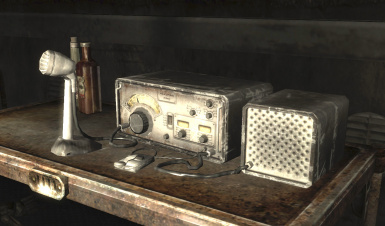 There is no On-Off like a radio, once the ham radio is activated you must let it finish playing until it stops on it's own, one minute per track. If you repeatedly click on it you will hear multible tracks at once. Version 1.2 Tweaked sound, Fixed radio switch-on animation. Sound now emanates from the radio.